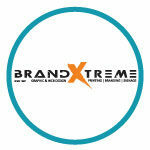 Short Business Description: BrandXtreme is a graphic & web design, printing, branding & signage company that offers first class creative solutions to small, medium and large sized businesses. Born in 1997 as a small company, 20 years later became a force to be reckoned with in our industry. Special Edition Home & Lifestyle Magazine is a reputable publication, established in 1997. Our FREE magazines are distributed throughout Pretoria, Centurion, Midrand and surrounding areas. We also list advertisers on our website and on Social Media platforms.